We are pleased to announce the forthcoming launch of Health Q&A, a new video service providing answers to your health questions. 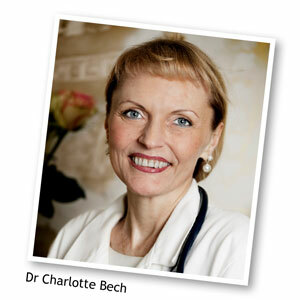 Physician and expert in Maharishi AyurVeda, Dr Charlotte Bech, is offering advice on the basis of health questions submitted by our Email Subscribers. Health Q&A is a video library which will cover the most common health topics and provide advice from the time-tested approach of Ayurveda for restoring and improving your personal health. If you would like to join our email list to receive these videos in instalments, or if you’d like to ask a health question, please add your details to the subscription form below. Charlotte Bech graduated from the University of Copenhagen and worked as a surgeon, and in the area of hematology and obstetrics. She has taught at the medical school in Copenhagen for many years and is currently running a private clinic in Copenhagen integrating modern medicine and Maharishi AyurVeda. Charlotte has given more than 30,000 ayurvedic health consultations and writes as a columnist for several national magazines. She is the author of fifteen e-books on topics of Ayurveda and is Vice President of the European Ayurveda Medical Association. Dr Bech teaches courses for medical doctors on Maharishi AyurVeda, including the Healthy Happy Mother and Baby Programme, and has pioneered Group Health Consultations in several countries which have inspired the creation of this Health Q&A video service. Dr Bech teaches courses for medical doctors on Maharishi AyurVeda, including the Healthy Happy Mother and Baby Programme, and has pioneered Group Health Consultations in several countries which have inspired the creation of this Health Q&A video service.